Pyrrhula albifrons Vigors, 1831, Algoa Bay, Eastern Cape, South Africa. English: Grosbeak weaver; French: Grosbec a front blanc; German: Weifistirnweber; Spanish: Tejedor de Pico Grueso. 6.7-7.5 in (17-19 cm); female 1.1-1.6 oz (31-45 g), male 1.5-2.1 oz (43-60 g). Breeding male chocolate brown with white forehead, white patch in wing conspicuous in flight. Heavy black bill. White on forehead variable, absent in non-breeding plumage. Female has brown upperparts, underparts white heavily streaked with brown. Heavy yellowish bill. Juvenile like female, more rufous above and buffy below. Bill dull brown. Sierra Leone east to southern Sudan, western Ethiopia, south to northern Namibia, northern Botswana, eastern Zimbabwe, and eastern South Africa. Reedbeds, cultivated areas, plantation, and forest. Colonial, some males polygynous. 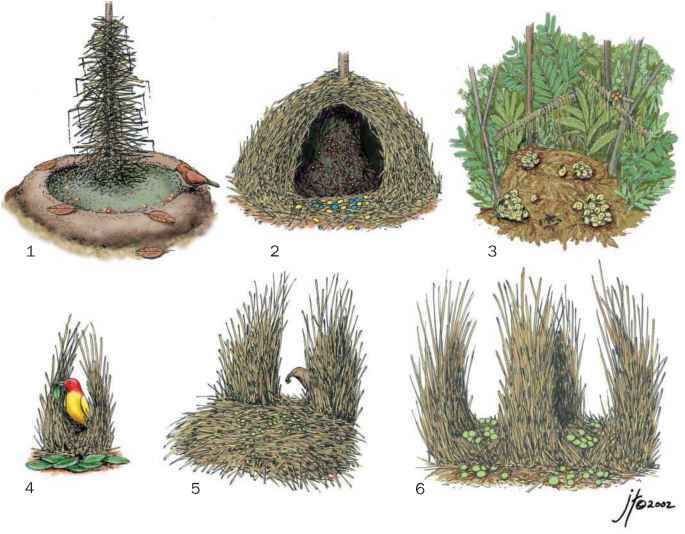 Nest highly distinctive, woven of very fine reed strips, slung between upright stems, with large side entrance. Built by male; once female accepts nest, male reduces entrance to a narrow circular hole. 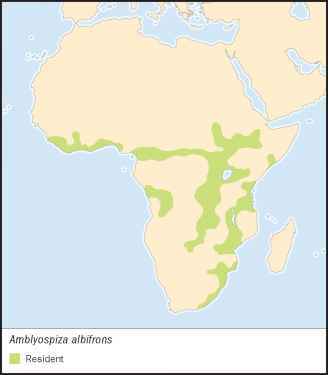 Female lines nest. Lays two to five eggs in summer. Incubation 14-16 days, fledging 19-22 days. Female alone incubates, feeds young.